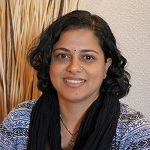 Manjit Sekhon is the director of learning experience design at Intrepid by VitalSource. She has been in the learning field since 1999, and has a background in organizational development, performance and change management. She helps our clients reimagine what learning could look like in their organizations when they move from ILT and e-learning to social and collaborative learning journeys. A passionate defender of learner rights, she focuses on using our platform to present clear, relevant and engaging learning opportunities that immediately connect with learners’ on-the-job experiences. Manjit has been with Intrepid since 2008, as a learning consultant, manager and then director of professional services. She has an MBA in human resources management from University of Bombay.